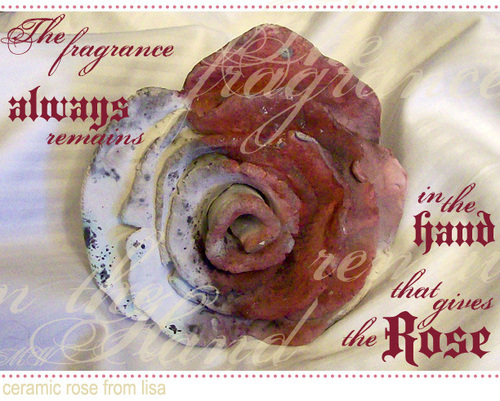 This stunning ceramic rose was a gift from my friend Lisa. Several layers of text applied over my photo. Don't you love that quote?